Python is a high-level dynamic programming language. It is quite easy to learn and provides powerful typing. Python code has a very ‘natural’ style to it, in that it is easy to read and understand (thanks to the lack of semicolons and braces). 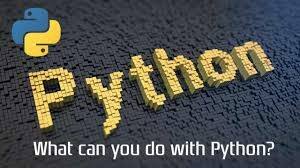 Python programming language runs on any platform, ranging from Windows to Linux to Macintosh, Solaris etc. Any graduate, undergraduate or post-graduate student having a passion for information security can undergo our Cyber Security course in Delhi and become a certified ethical hacker. If you are willing to know more about the course or admission eligibility, just give us a call and we will suggest the best batch option for you.